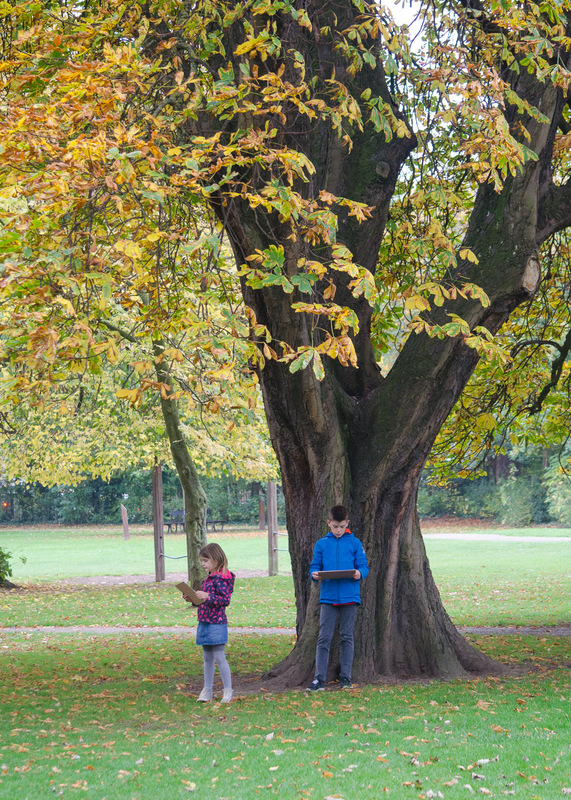 Have you been getting outdoors and enjoying nature this autumn? We’ve been trying to make the most of the mild weather, and enjoying all that nature has to offer at this time of year. 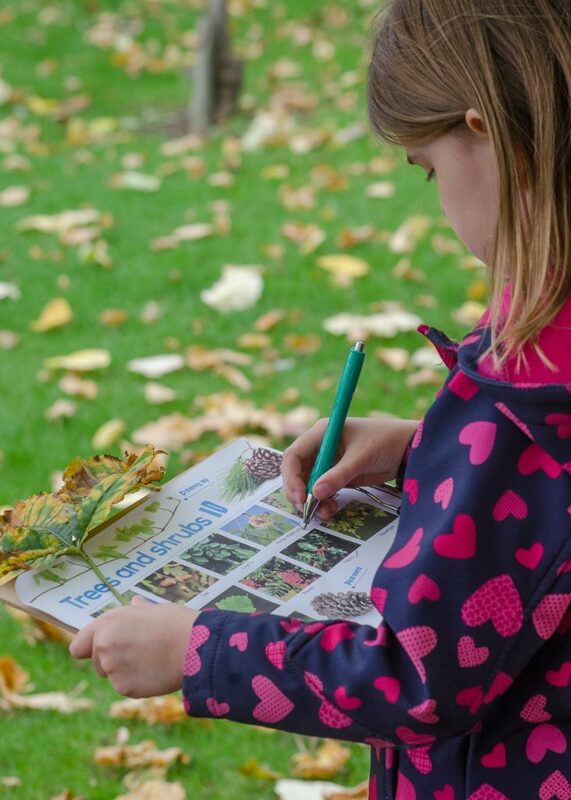 If you read the blog regularly you’ll know that we’re partnering with RSPB on lots of fun nature projects, and this month we’ve been trying out another of their Wild Challenge activities. RSPB Wild Challenge is all about helping wildlife and connecting with the natural world. Children can work towards awards by taking part in a whole host of fun family activities, and it’s a brilliant way to get kids – and grown-ups – inspired to get outdoors and get wild. It’s free to register and take part; find out more here. 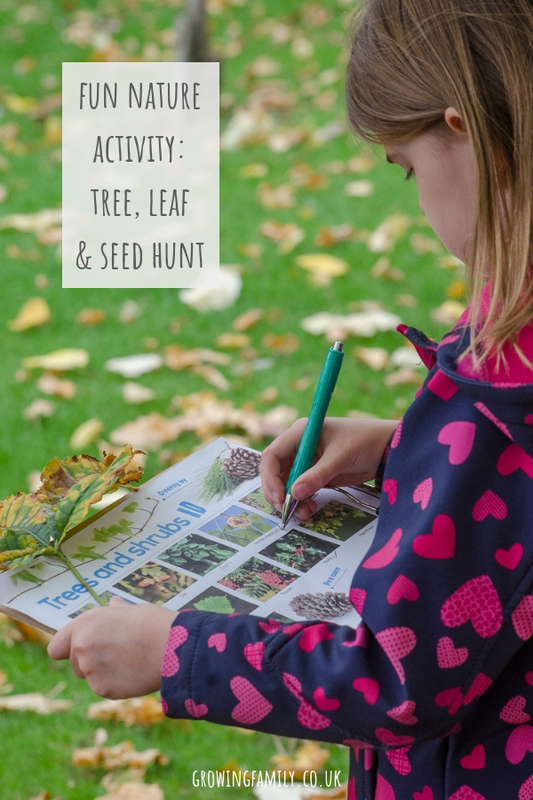 We’ve been having fun with the Trees, leaves and seeds activity, which is perfect for an autumn nature walk. We headed to our local park for this activity. Before we set off, I printed out the tree & shrub ID sheet from the RSPB website, and we had a chat about how we’d need to look at leaf shapes and check the ground for seeds and berries. 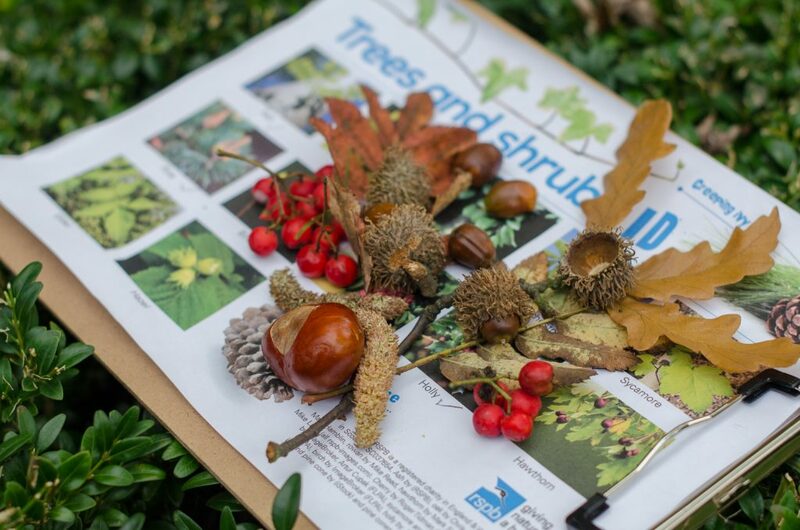 We also talked about how it’s important to protect the trees and shrubs by not picking things from them; fallen leaves and seeds are fine to collect though, and in autumn there are plenty of those around! As soon as we arrived the kids were raring to go. I’m no expert on trees, so it was really helpful to have the ID sheets with us. The kids loved the fact that they could do their own detective work with their clipboards! As we found different leaves, berries and seeds, we talked about shape, colour and texture. We also discussed why the seeds might be shaped the way they were; we found sycamore seeds that were clearly designed to travel in the wind, and compared them to conkers and acorns, which are protected by their shells until they reach the ground. Finding some rowan berries led us onto a chat about food sources for birds, and the role they play in distributing seeds. So much learning and discussion to be had from a simple nature hunt. 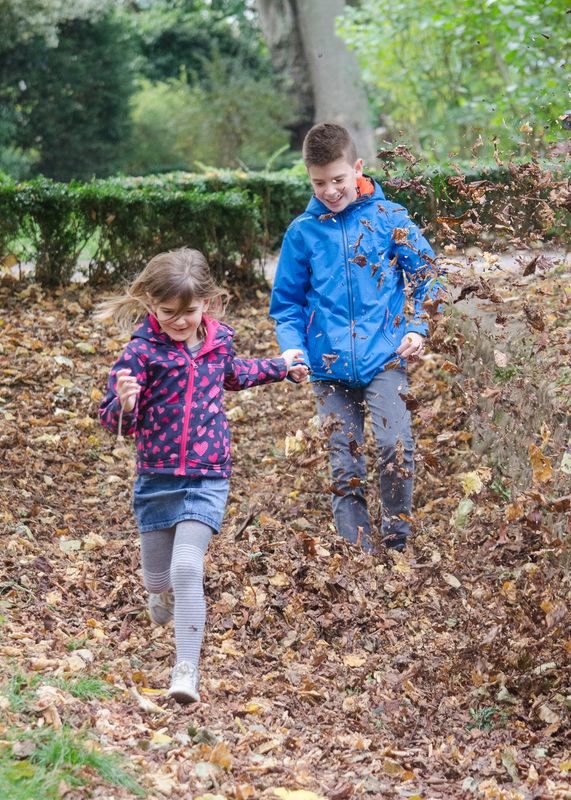 And of course, no nature activity in autumn is complete without a good old romp in the leaves…. We came home with a treasure trove of fallen leaves, seeds and berries, which we’ve left out on a tray to make a mini nature table. I also love using a length of string to turn this kind of collection into a seasonal nature garland, I suspect that will be our next nature project! We had lots of fun with this Wild Challenge. It was simple, easy to build into an outdoor trip, and gave us a lovely focus for our autumn exploring. Will you be having a go at it with the kids this autumn? You can find more details on the RSPB Wild Challenge campaign here. And if you’d like some more inspiration on nature activities to do with the kids, check out my exploring nature section for lots of fun ideas.